Reducing food contamination is at the heart of a national ad campaign. 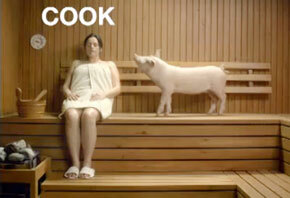 TV spots use humor to teach consumers how to avoid the risk of salmonella. A cook cleans a knife with a lawn sprinkler set on a kitchen counter. A woman orders a clucking chicken and a bunch of carrots to separate corners of her living room. A lobster lounges on a couch in front of a fan. 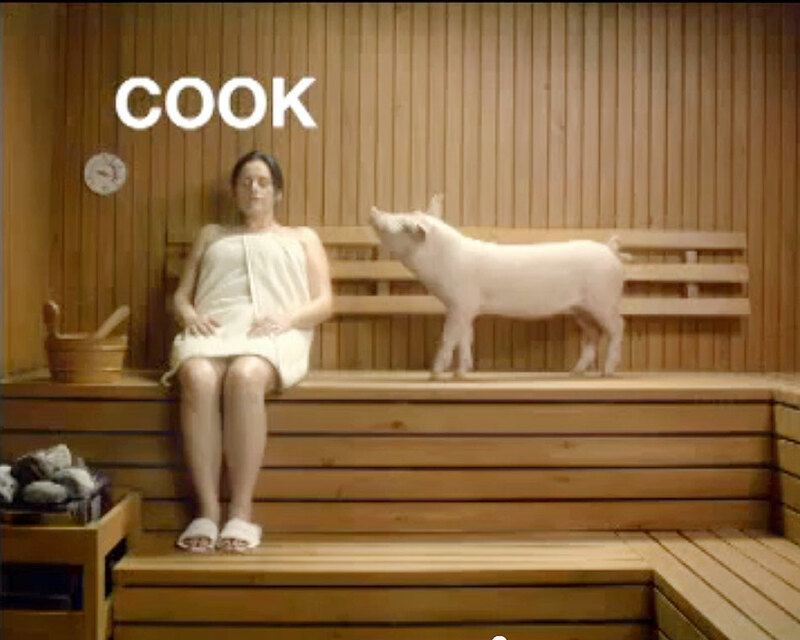 A pig wanders through a sauna. A reminder to “clean” when in the kitchen. The television advertisements are the first wave of a $1 million food safety campaign that the Agriculture Department launched this summer with the support of the Food and Drug Administration, the Centers for Disease Control and Prevention and the Ad Council. USDA believes the ads will get viewers’ attention and teach them something about how to reduce their risk for foodborne illness. The 30-second spots have four simple messages: Clean. Separate. Chill. Cook. Consumers should separate foods to prevent cross contamination. If consumers separate their raw foods, clean up to avoid cross contamination, keep food chilled and cook it thoroughly, they will cut their chances of infection from pathogens such as salmonella and campylobacter. “We really saw potential to grab people by the shirt collar in a way that wasn’t necessarily going to scare them and turn them off, but really make them say, ‘Hey, what is this all about? Wow, I didn’t know that,’” said Heidi Arthur, senior vice president of campaign management at the Ad Council, a private nonprofit known for its public service announcements on contemporary social issues. Cook food completely to prevent foodborne illness. Patricia Buck, director of outreach and education for the Center for Foodborne Illness Research & Prevention, likes the ads but says they don’t exactly “connect the dots” for consumers. “Many consumers will not link a live chicken or pig or lobster to the food product they’re eating,” said Buck, who co-founded the center in 2006 after her 2-year-old grandson died of food poisoning. Don’t forget to chill your food. A voice-over at the end of the commercials tells viewers that 3,000 Americans will die and one in six will get sick from food poisoning this year. Buck said those numbers convey the seriousness of the food safety issue and give viewers a reason to become more informed. Xiaoli Nan, who teaches health communication and persuasion at the University of Maryland, said that hyperbole and humor will get people’s attention, but that negative emotions such as fear are more likely to get them to change their behavior in the kitchen. “If [consumers] don’t feel the threat or the risk, very few people will see the need to actually go to a website and find out all the information,” she said. USDA’s food safety messages also are available through social networking. The agency has more than 175,000 followers on it food-safety Twitter account, @USDAFoodSafety, where it tweets about recalls and other postings on its website. The agency has even created a character named Karen, a Betty Crocker-like food safety expert who stands ready to answer consumers’ questions.